I remember this day well, anyone that follows my little blog knows that the Christie boys are football mad season tickets holders. 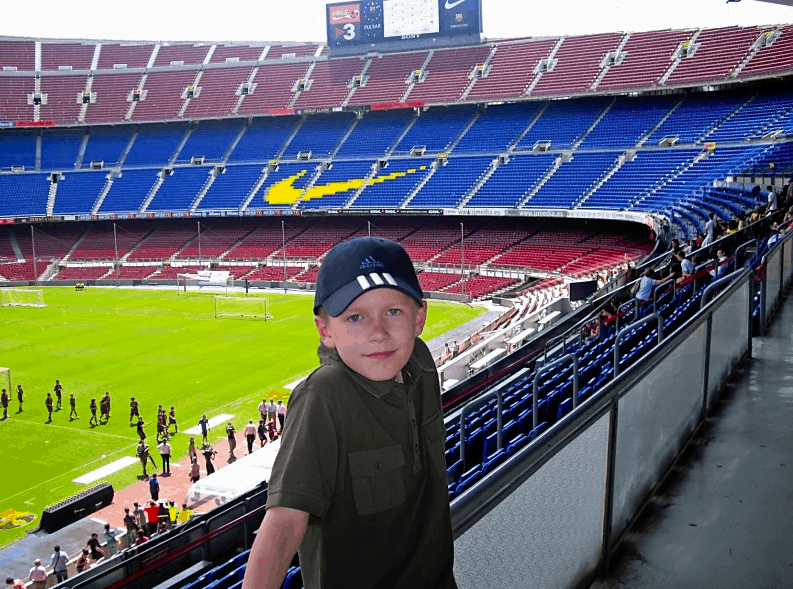 So on a trip to Barcelona; somewhere we just love, we took them to visit Barcelona’s home ground Camp Nou. This was their first ever visit to Camp Nou, I will never forget the look on their faces they were so mesmerised and in awe of the ground. I must say as a non football fan it is very impressive. The sheer scale of the ground is just breathtaking. It’s weird I would have been so unimpressed by this before the boys, yet seeing things they love through their eyes in just wonderful. I agree. I’ve been there and it is definitely a take your breath away moment. Lovely shot Sarah.